The overall B.C. 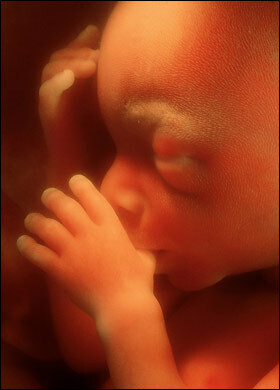 stillbirth rate rose from 8.08 per 1,000 births in 2000 to 10.55 per 1,000 in 2010. Stillbirths are defined as either the loss - spontaneously or through abortion - of a fetus after 20 weeks, or the loss a fetus weighing 500 grams. Before that gestational age, or under that weight, “miscarriage” is the term used to describe pregnancy loss. Statistics on miscarriages are not recorded. There were 461,083 live births in B.C. during the decade beginning in 2000, and 3,991 stillbirths, a number that has risen because of an increase in therapeutic abortions. There has been a 137-per-cent increase in such pregnancy terminations in the past decade — from 2.4 per 1,000 births in 2000 to 5.7 per 1,000 a decade later. I'm glad that the media are FINALLY reporting about how late-term abortions are classified as "stillbirths". The increase has had a concurrent effect as it has meant fewer births of babies with severe congenital anomalies, a B.C. study in the Canadian Medical Association Journal shows. It means "fewer births" because those children were killed. Most pregnancy terminations in the study occurred between 20 and 23 weeks gestation, following prenatal diagnosis like ultrasounds and blood testing. Question: how many babies were killed beyond that point? And how many babies survive the abortion? And what kind of care is provided for such children? Inquiring minds want to know. UPDATE: Link to the original study.